Germany has been an economic standout in the European Union. What's more, CEOs there recognize the value of communications. (Image via Wikimedia Commons, by Thomas Wolf). 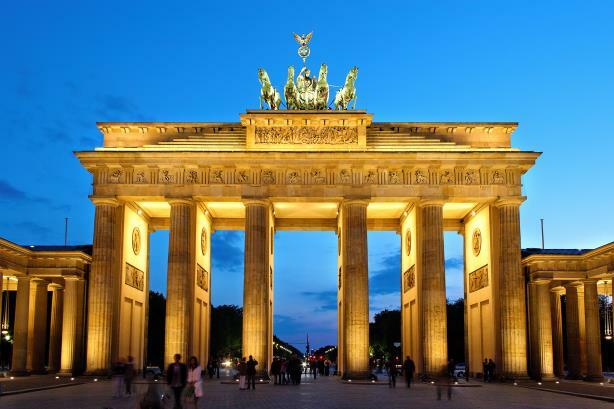 A parade of U.S-based agencies have moved into or expanded their presences in Germany in the past nine months, including Edelman, Golin, Ketchum, and Allison+Partners. While the country’s economy is a bright spot in the European Union, PR chiefs explain that it is attractive for a host of reasons, including a well-developed infrastructure that supports PR as a key corporate function. Some even say this morning’s shock outcome of a British exit – "Brexit" for short – from the E.U. could be a boon to the communications marketplace in Germany. (The result has been less auspicious for others. British Prime Minster David Cameron, who says he will resign by autumn, had urged the country to reject Brexit but was dealt a 52%-to-48% defeat. Financial markets around the world have plummeted in response). "It could take years for Britain to fully exit, but it could stir a growth spurt for German agencies," says Matt Neale, the New-York-based international president of Golin. "Many of our European clients we have work for based out of London pay us in the Euro, and you wonder what action they now may take. We could see a movement of international work out of the U.K. and into the eurozone." That’s not to say the only thing going for Germany is Britain’s decision to exit Europe, he adds. "I don’t think any of the investment decisions in Germany have been based on a speculative bet that Britain will exit and therefore there will be more demand for German agencies," Neale says. "The demand has always been there. A lot of North Americans forget Germany has a bigger economy than the UK, and agencies that want to be international have to be there; it is the cost of doing business in Europe." In April, Golin strengthened its presence there via Golin Germany, a PR, digital, content, and advertising firm that is a joint venture between Golin and GGH MullenLowe. The latter is a brand activation firm with offices in Hamburg and Frankfurt. Other PR chiefs agree that Germany – and especially its five largest cities: Berlin, Hamburg, Munich, Frankfurt, and Dusseldorf – has lots of upside. "Certainly, the country’s place in the global economy is one important reason," says Ray Kotcher, former Ketchum CEO and chairman, who holds a non-executive chairman role at the agency. Kotcher oversaw the Ketchum-Pleon merger in 2009 that made his agency the biggest PR firm in the country. The Omnicom Group agency also made recent investments in Germany via the expansion of its management, including hiring Berlin MD Thorsten Sperlich, previously the head of brand PR for Coca-Cola in the country. Another reason Germany is attractive to multinational agencies? "A deep and wide media set – traditional and social – with rich discussion and debate," says Kotcher. "PR has a 150-year history in Germany with a developed industry infrastructure. PR is also widely taught in colleges and universities." The practice of PR is also well-respected in the country, and its executives value the profession. "There is high appreciation for communications among corporations, associations, the government sector, and NGOs," Kotcher notes. "In fact, a recent study of German CEOs by Egon Zehnder makes plain the strategic significance they place on communications for their companies." A study conducted by executive search and leadership advisory firm EgonZehnder called Communications from the CEO’s Perspective – an Underestimated Challenge?, concludes German CEOs allocate a large amount of time and attention to corporate communications. Some even spend as much as half of their working days on communications, and many emphasize that it is a key strategic pillar. "The days when communications was first and foremost about strategy presentation and information policy are gone for good," the study states. "As these CEOs see it, communications has itself become part of the strategy and therefore a core business management function in its own right." Earlier this month, Allison+Partners acquired tech-focused Berlin and Munich agency Higher Ground Communications to make its first on-the-ground deal in the country. Before the acquisition, Allison’s European footprint included nine staffers in London and five in Paris. Scott Allison, CEO of the eponymous firm, says agencies can no longer rely on one or two offices or affiliate partnerships to serve all of Europe, at least if they’re banking on long-term success. "Often times, an agency will acquire something in London, and that’s the end of it. But spend some time in parts of Europe, and you’ll realize that’s a ridiculous approach because the countries are all so different," he says. "You really have to have multiple offices." A dedicated office in Germany can not only help agencies capitalize on pan-European opportunities, but also domestic work, where opportunities are plentiful due to an emerging technology and digital sector and a strong manufacturing and consumer base. Allison says his experience operating in Europe is contrary to the one depicted in many gloomy media reports about the continent’s financial crisis. "When you are in the U.S. and tracking a lot of media about the down economy in Europe or the U.K. – from CNBC to The Wall Street Journal – and then actually spend some time there, you find a much different experience," says Allison. "In London, we’re seeing strong growth, a robust new business pipeline, and we’ve found the rest of Europe to be the same." Edelman acquired ergo Kommunikation, a consultancy specializing in corporate, financial, and political comms, late last year. The independently owned agency has operated in Germany for the past 40 years, but the deal boosted its employee count to 350 there. "With a population of 80 million and an economy that is generally in good health, we recognized the need and desire to ensure we have a business of scale that can compete," says Edelman global COO Matthew Harrington. "When you look at BMW, Audi, and Mercedes-Benz, you see [Germany has] strong multinationals. But it also has a unique class of midsize companies that continue to innovate, create jobs, and drive the economy." He adds, "That is a class of businesses [with which] we want to make further inroads in terms of domestic-oriented programming." He predicts Germany will continue to perform well for PR agencies despite the economic turmoil that the Brexit result is bound to cause throughout Europe. "My perspective in conversations with Suzanne Marell, who runs the Germany operation, is that Germany will hold well regardless of the vote, because it has been an anomaly in some respects to the overall E.U. with its general performance," says Harrington. "But our hope was that the U.K. would have made the decision to stay in the E.U."